A newspaper clipping of Detroit's busing era. From the 1950s on, white people started leaving Detroit and moving to the suburbs. By 1970, only one-in-three students at Detroit Public Schools was a white kid. And those white kids were concentrated in mostly white schools. The school board was trying to come up with a plan to fix that, but it was getting pushback from white parents who didn’t want to send their kids to black schools. There was also pushback from forces within the black community who wanted to keep majority black schools and have more of a say in hiring more black teachers and administrators in those schools. The school district board tried to find a compromise plan, but in the end, no one was happy with the modest desegregation plan that included busing kids in Detroit. It got so bad someone threatened to kill a school board member. It got so bad someone threatened to kill a school board member. There were bomb threats, and students held walk outs. The Michigan Legislature stepped in and passed a law that Senator Coleman Young sponsored. Young was later Detroit’s first black mayor. The law did give more neighborhood control over schools, but it also legalized segregation in the Detroit schools by allowing white kids to leave their neighborhood school that had a growing black population and transfer to one that was more white and vice versa. The 1954 Supreme Court decision in Brown versus the Board of Education ruled that the idea of racially separate, but equal was anything but equal. In the South, government began enforcing school integration. In the North it was a different story. By the 1970s, segregation in schools was growing. “While the decisions in the southern states, the southern school districts, were moving toward implementation, the segregation and isolation, racial isolation in the North was increasing,” Nathaniel Jones explained. Judge Nathaniel R. Jones, 2016. 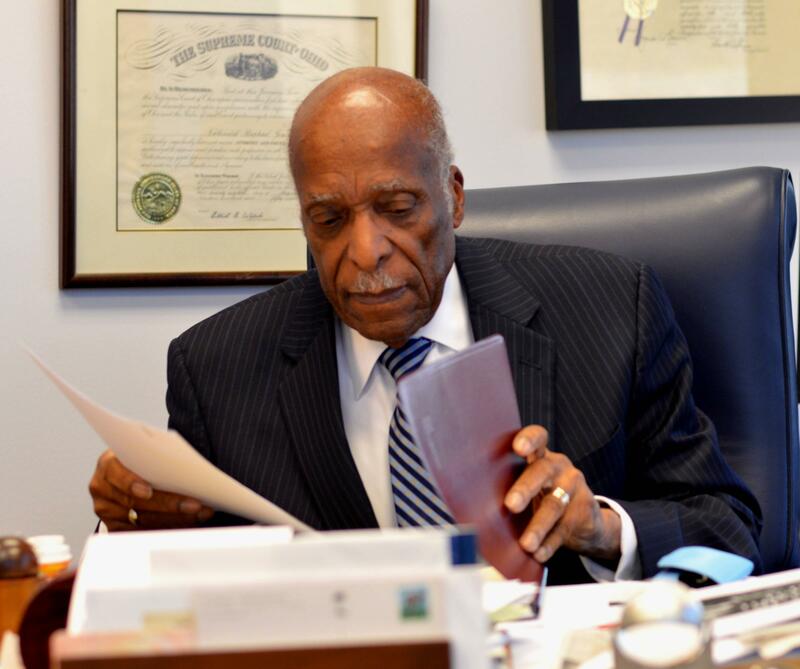 Jones was the NAACP General Counsel who pursued the Bradley versus Milliken case. In 1969, Jones had just been hired as the top lawyer of the NAACP. With the new law in Michigan, Detroit became a target for a desegregation lawsuit. The case became known as Bradley versus Milliken. Ronald Bradley was a young student in Detroit and the first named in the suit. William Milliken was Governor of Michigan. The case went to the U.S. District Court and ended up bouncing up to the U.S. Court of Appeals for the Sixth Circuit a couple of times. Joyce Baugh is the author of The Detroit School Busing Case. She says when U.S. District Court Judge Stephen Roth decided there were not enough white students in Detroit for any meaningful integration, he decided the only way to end segregation was by busing black Detroit students to the white suburban districts and suburban kids to Detroit. White suburban residents were outraged. “They were basically saying that they didn’t think that their kids should have to go to schools with these black kids because there would be all kinds of problems and, you know, more racial problems, their kids wouldn’t get a good education, they would be subject to violence. All of those kinds of things,” Baugh said. Joyce Baugh, author of The Detroit School Busing Case. To give you an idea of how unpopular busing was, at about the same time a lawsuit to integrate Pontiac schools had argued for busing. A woman named Irene McCabe organized a group called the National Action Group (NAG). She rallied thousands of white parents and their kids who took to the streets to protest. Attorney L. Brooks Patterson represented NAG and launched a political career that eventually led to him being the long-time and current county executive of Oakland County. Before the school year started in 1971, the Ku Klux Klan used dynamite to blow up 10 empty Pontiac school buses. In the Milliken versus Bradley case, lawyers for the suburban districts argued they were not the cause of segregated schools in Detroit. But Joyce Baugh says the trial court found that white people were leaving Detroit for the suburbs and keeping blacks out of the suburbs which contributed to the segregation. “And the fascinating thing to me is if you look at the census data from 1970, there were 2,668,000 people living in the suburbs. Only 97,000 of them were African American,” she said. The NAACP’s lawyer, Nathaniel Jones, argues redlining by banks and real estate agents, and past policies by federal and state government agencies all contributed to segregated housing and segregated schools. “That situation and phenomenon was not the result of happenstance. It was not accidental. It was not a matter of choice. It was a result of policies and practices that had been pursued by public officials in the North over time,” he said in a recent interview with the Detroit Journalism Cooperative. Jones also argued that school districts were auxiliary units of state government since the state had authority over them, so they didn’t have to prove an individual school district was segregated. State policies led to segregation throughout the Detroit region. The State of Michigan and the mostly white suburban districts appealed to the U.S. Supreme Court. In the arguments archived by the Illinois Institute of Technology, Jones laid out the case for the lower court’s busing plan to desegregate the schools in Detroit and the suburbs. “A plan that promised to realistically work now and hereafter, a plan that would eliminate the vestiges of state imposed segregation, that would eliminate the core of state imposed black schools,” Jones argued before the court in 1974. The Michigan Attorney General at the time, Frank Kelley, argued the state was not responsible and that the plan to bus students was out of line because the suburban districts did not cause segregation. “The trial court ordered a desegregation plan including 53 school districts involving 780,000 students and requiring at least 310,000 of them to be bused daily on the school days so that each school, each grade, and each classroom would reflect the racial make-up of the entire 53 school district area,” Kelley told the justices. When the Supreme Court handed down its decision in the summer of 1974, it ruled Detroit schools with its 35% white student population would have to figure out how to desegregate itself without the help of the ring of white suburbs surrounding it. Nathaniel Jones said the decision meant there would not be real desegregation in America’s northern cities. “We argued the case to the Supreme Court and in a 5 to 4 decision they reversed the Sixth Circuit and the trial judge, saying that we had not proven that the suburbs had participated in creating the segregation in Detroit,” Jones recalled. 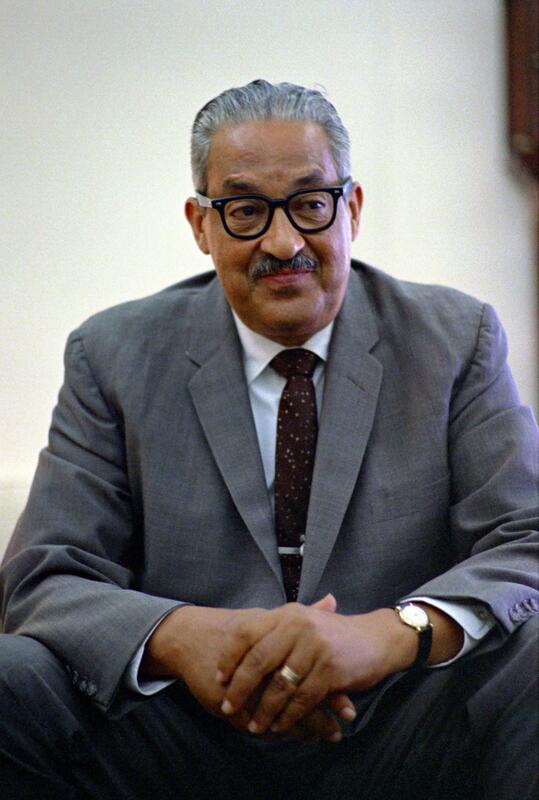 Among justices who disagreed with the majority was Thurgood Marshall. He saw the ruling in Milliken versus Bradley as a dismantling of the landmark ruling of Brown versus the Board of Education which he had won just 20 years before. “Our nation, I fear, will be ill-served by this court’s refusal to remedy separate and unequal education for unless our children begin to learn together, there is little hope that our people will ever learn to live together and understand each other,” Marshall said from the bench, reading from his dissent. Today, the Detroit Public School District is 84% black. The district has been a financial mess with deteriorating schools for decades. African Americans have made inroads into the suburbs. Those suburban schools quickly change into majority black schools as many whites move or use School of Choice laws to send their kids to a neighboring majority white school district. There’s no sign that pattern will change.